I'll be back in October. NLD1 was my first stop last trip and I think I'll have to keep it that way. I want the girl in the middle, long black hair. < 2 weeks and the party starts like cracy ! Hi there, her name is Nok. 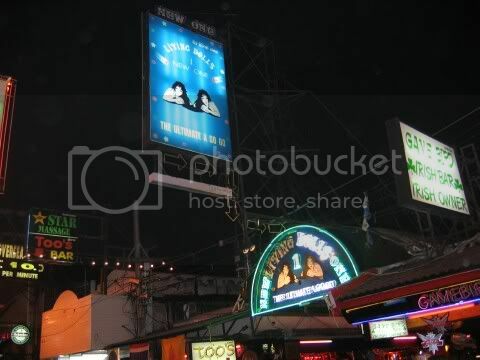 One of my favourite bars in Pattaya..........I just wish the skinny blond would let me barfine her. She says I am her friend so we cannot go together.............she does not realise I love her..............well I will for at least 1 or 2 hours. Keep up the good work mate you have a great bar with some great girls. Send Steve my best wishes and I hope he gets better soon. Fantastic photos, im next in Patts next Friday, i'll drop in for sure. If your around I'l be sure to sat hi and thanks!!!! Interests:Women, what else? Just kidding. American football and beer. No other interests needed. Oh brother! I see how a guy can get himself in big trouble. NLD1 is definitely on the list this trip. No worries see you in 6 months, hope they are still around for you mate. Hello guys, My first post on the site. I'm a long time visiter of the Phils and just booked my 1st trip to LOS. After seeing the hot babes on the living dolls web site and now these girls, WOW, I'll be looking forward to making this place my 1st stop. some fantastic photos Simon I don't recognise any of the girlsthey must be all new but good looking bunch you got there. I do recognise some of the service girls.Can i pre book NOK for January LOL!!!! good luck with the club. Wise words mate! Never judge a girl before you're souber and the sun comes up. Last October I spend many nights there. But I never saw your Lady (black tie) going with customer. She told me she doesn´t want to go with custumer and she doesn´t need the money. I don´t know if she lied me, but as I said before, I never saw her going with customer indeed.